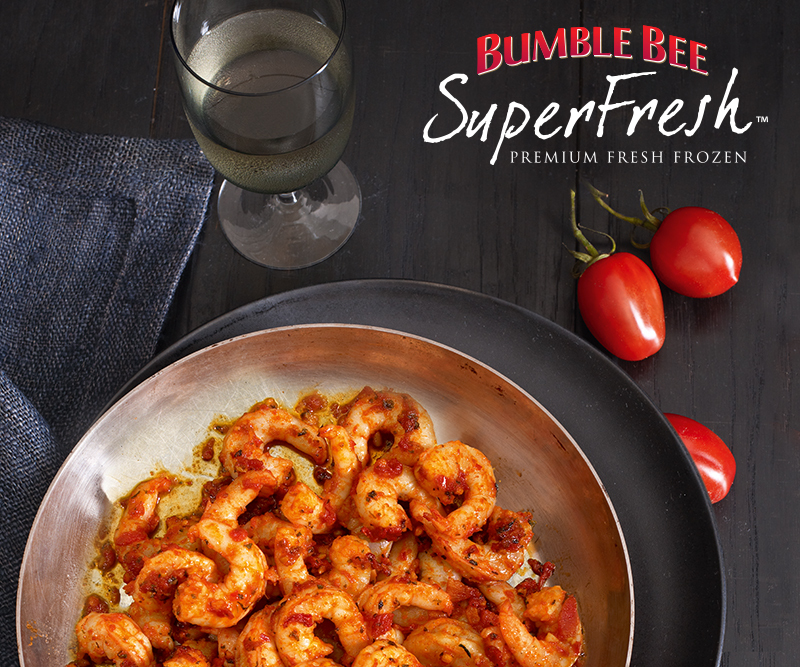 Bumblebee Superfresh® – Zucconi Idea Agency, Inc. 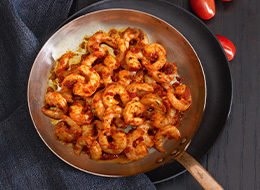 Premium seafood from an unlikely source – your grocer's freezer. 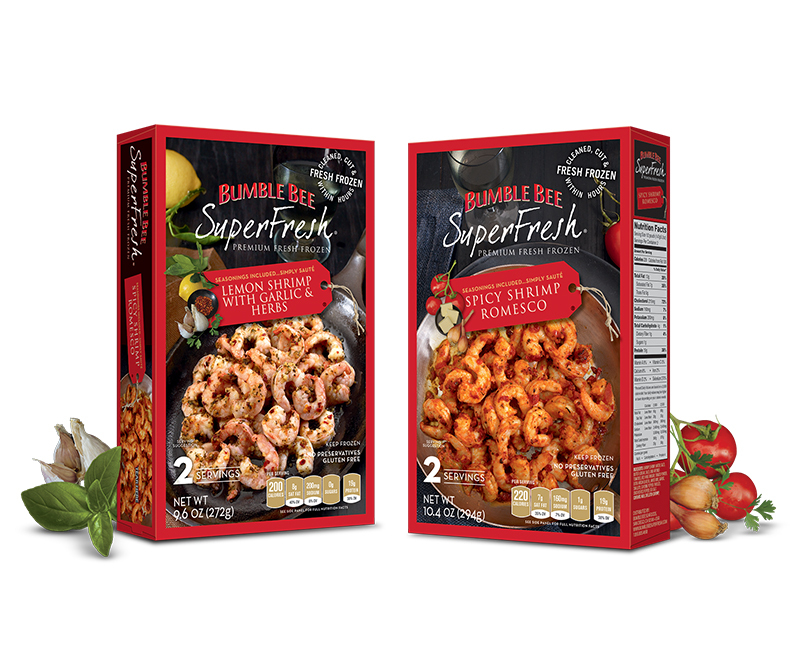 To help Bumble Bee spread the word about its SuperFresh product line, we conducted a thorough audit/analysis of brand packaging, then reworked key elements for clearer communication andbetter shelf presence. 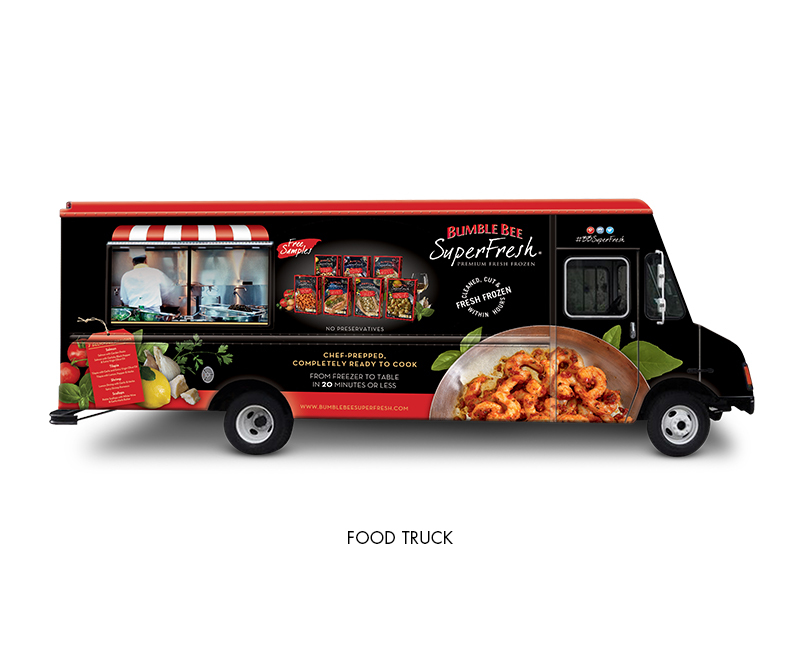 And to put the word on the streets – literally – we also designed a one-of-a-kind food truck for sampling/retail events.